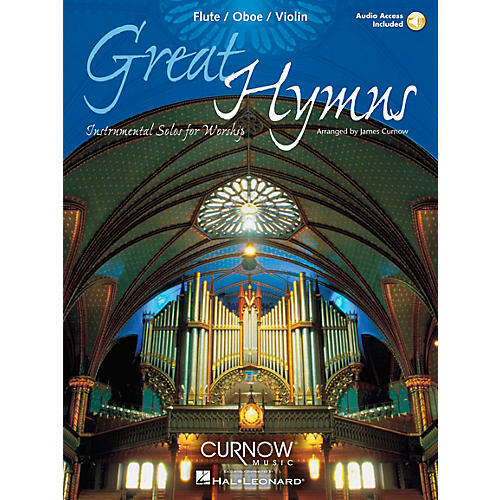 Instrumental Solos for Worship for All Instruments Arranged for Philip Smith, Principal Trumpet, New York Philharmonic Orchestra The inspiring sounds of 10 best-loved hymns are yours for the playing in James Curnow's Great Hymns. The included CD allows a soloist to be more fully prepared when an accompanist is just not available. These sacred hymns are an important part of our rich cultural heritage, and as such, are appropriate for almost any venue. Every church and school will find Great Hymns to be a valuable and enduring asset. Includes: A Mighty Fortress is Our God, All Hail the Power, All Creatures of Our God and King, Be Thou My Vision, Brethren We Have Met to Worship, I Sing the Mighty Power of God, Joyful, Joyful We Adore Thee, O Worship the King, Praise to the Lord the Almighty and We Gather Together.